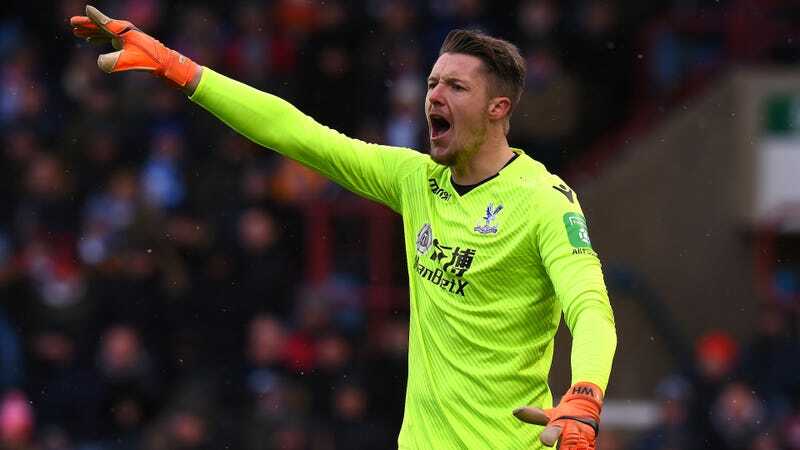 No one could have been more delighted to hear that Crystal Palace goalkeeper Wayne Hennessey is apparently a huge idiot than Wayne Hennessey himself. That’s because the F.A. panel tasked with investigating a photo in which the Welsh keeper appeared to have been making a Nazi salute gesture cited that very stupidity as convincing evidence of Hennessey’s innocence. Hennessey offered his own explanation of the events, saying he was merely trying to get the attention of the person taking the picture to tell them to go ahead and snap the photo. As convenient of an excuse as that seemed, additional evidence that Hennessey indeed does like to shout with his arms in those same positions even when on the pitch during games made his claim more believable. Nevertheless, the F.A. still opened an official inquiry into the matter. On April 5, the F.A. concluded its investigation and cleared the keeper of any wrongdoing. Today, the F.A. made public the specific findings of the panel that looked into it. And a key part in their decision to side with Hennessey was their realization that he is so ignorant of history that he probably couldn’t have done what he’d been accused of. “Improbable as [not knowing what the Nazi salute is] may seem to those of us of an older generation, we do not reject that assertion as untrue,” noted the panel. “In fact, when cross-examined about this, Mr Hennessey displayed a very considerable – one might even say lamentable – degree of ignorance about anything to do with Hitler, fascism and the Nazi regime. In support of his defense, Hennessey also offered additional photos of the moment in question which showed his arms at varying heights, backing his claim that he was waving to get the photographer’s attention, as well as photos of himself making similar gestures on the pitch when communicating with teammates. Two of the three panel members bought Hennessey’s version of events, though the third maintained that the “only plausible explanation” was that Hennessey was actually doing the Nazi salute. What seems certain either way is that Hennessey is a lunkhead, with only the degree of his stupidity really being up for debate. When Did Nazi Insults Spike On Twitter During USA-Germany?